Market resilience. With the slowing down of Western Australia’s mining industry, investors fear a slowdown in housing demand. But the city continues to defy these negative expectations and continually posts slow to moderate increases in house prices. For example, in the second quarter of 2014, residential price index rose by 3.6% despite a -0.2% dipped a few months earlier. Property slowdown. A slowdown is not always a bad thing; it’s the perfect opportunity to get a bargain. You could find a decent two-bedroom for less than $400,000. So, when the real estate market in Perth reaches its bottom, make sure you are ready to buy. Get a pre-approved home loan if possible. Sellers would be willing to lower down their prices for homebuyers who are ready to make a quick purchase. High rental yield. While the city can’t currently match Sydney in terms of market growth, it can boast higher gross rental yield. An investment property in Perth has comparatively higher gross rental rate than those in Sydney and Melbourne at 5.82%, 5.14% and 4.83%, respectively—thanks to the city’s competitive property prices, rising rental rate, and shortage of rental properties. Rising Property Demand. Perth is Australia’s fastest growing city in terms of population. In 2013 for instance, the population reached around 1.9 million; this is expected to double by 2040. From this data alone, you can conclude or expect Perth’s properties to increase in value (perhaps not this year or the year after) several years from now—making it the perfect investment for the long haul. With the rapid increase in the Sydney and Melbourne property prices recently, Perth is quickly emerging as the next, most attractive growth market in Australia. Perth’s rental yields continue to strengthen, while at the same time, Sydney and Melbourne’s are decreasing. Right now is the time to take advantage of the Perth market before the rest of the country realises just how cheap Perth has become when compared to Eastern States cities. Beat the surge of investors and take advantage of the best buying conditions we have seen in a decade. What Will Influence Positive Capital Growth? The Western Australian State Government has invested more than $17 billion in infrastructure projects across the city. This includes flagships such as the Perth City Link, Elizabeth Quay and the new Perth Stadium. Perth is Australia’s fastest growing city and combines coastal living with city apartments in a multicultural hub of activity. 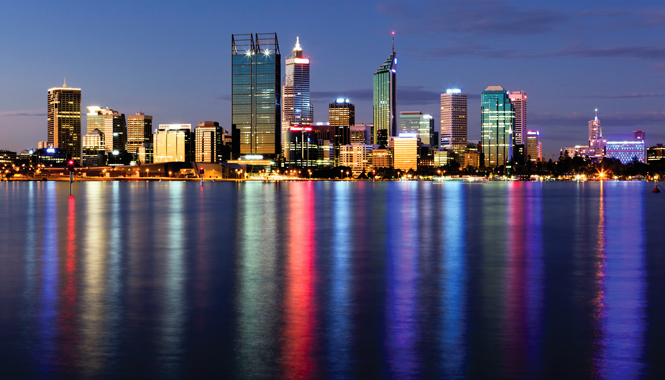 Despite being previously known as one of the most isolated capital cities in the world, Perth is fast becoming the business-hub of the country due to its close proximity to many destinations in Asia – which is Australia’s major trade area – as well as the fact that it shares the same time zone as 60 percent of the world’s population. This population is tipped to reach 2.39 million by 2030 and majority of this population growth is expected to happen in the Perth Metro and Mandurah areas. Perth, and in-fact the state as a whole, can attribute it’s high growth over the last decade to the large resources boom that was experienced in the north of Western Australia and brought a number of migrants and foreign investors into WA to reap the benefits. Due to this, Perth has experienced an increasing demand for housing, with an additional 13,500 new houses being built on average every year to meet this requirement. The resources boom has undoubtedly brought people flocking to the ‘State of Opportunity’. Since 2011, 1500 new people arrive in WA per week and one in three people living in WA were born overseas – the highest proportion of any area nationwide. This ever-increasing population growth means that Perth’s property market is also one of the strongest in the country.